This book provides a comprehensive overview of the development of economics from its beginnings, at the end of the Middle Ages, up to contemporary developments. It is strong on contemporary theory, providing extensive coverage of the twentieth century, particularly since the Second World War. 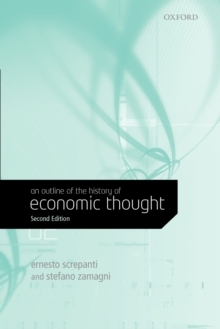 The second edition has been revised and updated to take account of new developments in economic thought.